We started April with a sunny pre-wedding shoot with Katie and Tom at Hinchingbrooke Park. We were SO looking forward to their magical Harry Potter themed wedding, which we will certainly share soon! 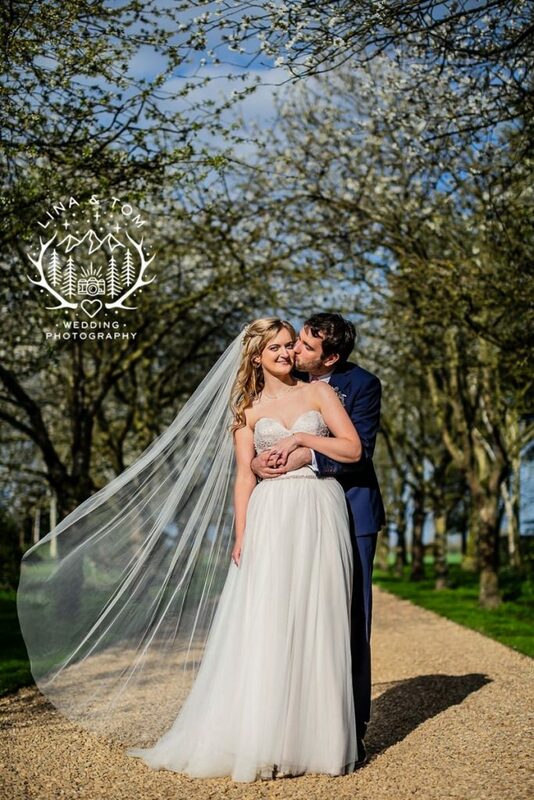 Then, a hat trick of April weddings at our local – South Farm! First, Anna and Rob’s welly wanging (yes you heard us right) do at South Farm. We truly mean it when we say every wedding is unique, and none more so this one! For our second trip South Farm was in full bloom. We captured this gorgeous shot of newlyweds Sarah and Phil on the venue’s famous driveway. The perfect blue sky was the icing on the cake. Our final wedding at South Farm was for Jerry and Rose. The bride is an ex-international Sri Lankan cricketer, and then met on the cricket ground, so the day was themed around the sport, including a fun cricket themed cake! In mid-April we travelled down to Essex for our first wedding at Crondon Park. Bride and groom Sarah and Rich look utterly besotted with each other in this dramatic sunset shot. The best! We got lost in the forest for Victoria and Mark’s pre-wedding shoot in Stevenage. Mother Nature provided a beautiful carpet of bluebells for us on the day! We won at the Four Counties Wedding Awards again this year (woo! ), so we were invited to photograph the styled shoot once more. We love doing this, a chance to flex our creative muscles! This year’s theme was Southern Americana: Luxe – something really different and so fun to work on. There will be more pictures soon, do check out our Cuban inspired-shoot from last year in the meantime. Rounding off the month was trip to Amsterdam for Carrie and Leo’s pre-wedding shoot. Having got to know these guys last summer with a fab shoot in London, it was awesome to meet them again over the water. We got a private tulip farm all to ourselves for it too, absolutely epic. We love this city and stayed for the infamous King’s Day celebration – look out for a blog on the orange fun soon. We hope we’ve given you some spring wedding inspiration with our April adventures! From trees heavy with blossom to a picture-perfect Dutch spring, we’ve loved where we’ve been and the couples we’ve created memories for.